On today’s post I’m introducing you to the gorgeous Amelia peep toe shoes from Rainbow Club. A lady ordered these from me a few weeks back & it was the first time I’d seen them in person, they are even more gorgeous than expected! These floral peep toe shoes have a gold metallic tip at the front of the shoe & the outside of the shoe is covered in floral blossoms! The heel height is 9cm / 3 ½” & they are made of dyeable ivory satin. They can be dyed in any of the 280 shades available, and the flower embellishments will dye that colour too. These shoes come in half sizes & are padded inside the shoe too, to ensure they are super comfortable for you for the whole day that you wear them! 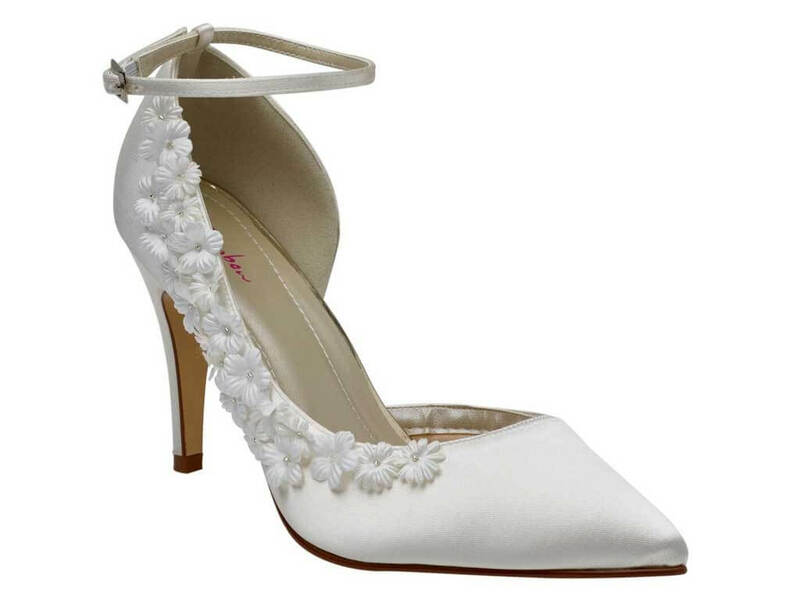 These shoes are £85 in ivory, and if you’d like them dyed there is a small fee. They are ideal for any special occasion or event. If you like the blossom detail effect, they also have the Fern shoe available in a pointed shoe with an ankle strap. 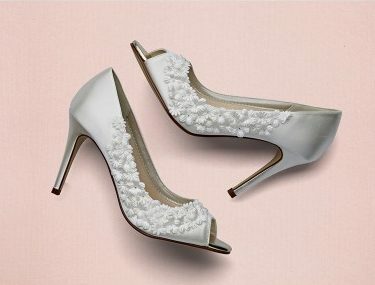 And for your matching little bridesmaid shoes…who can resist the cute Summer pump? Hope you like these gorgeous shoes as much as I do! All images courtesy of Rainbow Club. This entry was posted in General News, Rainbow Club and tagged Ascot, bridal, Bride, colour, fashion, For sale, heels, Ladie's Day, Mother of the Bride, peep toes, Rainbow Club, shoes by Katie Vale. Bookmark the permalink.